The color of the product may vary slightly compared to the picture displayed on your screen. This is due to lighting, pixel quality and color settings. Please expect an unevenness of up to 5-10 mm in the product due to differences in surfaces and floor levels. A lunch box that guarantees adventure. 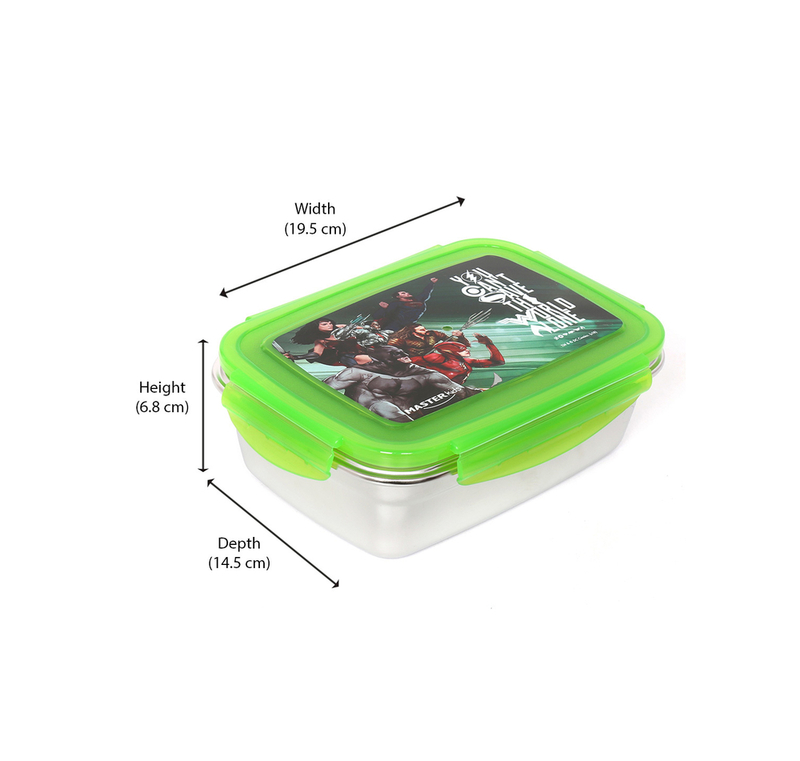 The Justice League lunch box – bright, cool and purposeful. Its compact size is handy enough to be carried in a school bag, in a small lunch bag or in the hand, too. Take it to school or to picnic. With a small box inside the big box, the stainless steel box makes sure your kid can carry a proper whole meal. What is more, it’s full of food, fun and adventure. © 2019 at-home.co.in. All rights reserved.